Tuesday, December 20, 2016 Filed Under: Film | Why Did I Watch That? There are some movies that I can’t bring myself to hate, no matter how bad they actually are. 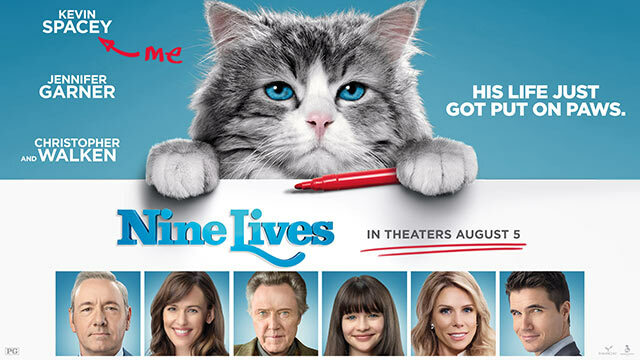 Nine Lives is one of these movies that inhabits a special place in the pantheon of awful cinema. My editor would probably disagree, especially after I made him watch this movie with me. Nine Lives is awful in a transcendental way, a true piece of terrible art that would be hard to match, even if you were trying to make the worst “film” possible. It is not often that a movie does everything wrong, and in a way that is so entertaining.